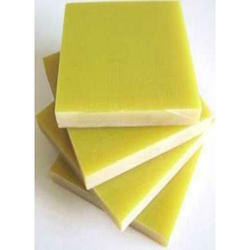 We are manufacturer epoxy sheet as per is and nema standard. Banking on our enriched industry experience, we are able to supply FRP Epoxy Sheet. High dielectric up to 550 volts / minute. We are the manufactures of FRP/GRP glass fibre epoxy sheets of various grades and sizes. We are reliable manufacturer of epoxy sheets in India. The epoxy sheets offered by us are unmatched in quality. The FRP epoxy sheets are manufactured from the best quality materials and hence durable for long period of time. The glass epoxy sheets are highly resistant to heat and have a great mechanical strength. Since the inception of our company, we have been able to manufacture and supply the optimum quality of FRP Epoxy Sheet. Owing to its thermal stability and resistance to crack & shock, the offered FRP epoxy sheet is highly demanded. We deliver the offered FRP epoxy sheet within the assured time frame at the customers’ end. We are dealing in Epoxy Sheet with the best quality and good matarial, we are key plaier of the market. With our vast experience & knowledge in this field, we are engaged in trading a quality-assured range of Epoxy Sheets. We are providing FRP Epoxy Sheet to our clients. This product having high mechanical and dielectric properties, fine heat and humidity resistance. It is used in electrical machine and devices as insulating construction parts in transformer. 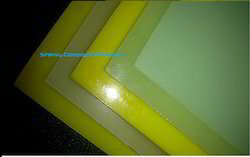 We are engaged in offering FRP Epoxy Sheet.